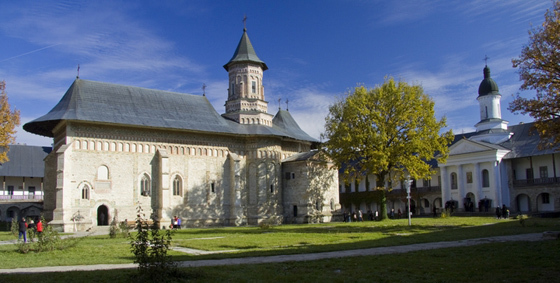 According to historians, Neamt Monastery was built in XIV century and is the oldest Orthodox monastery from Moldova. The monastery is located in Vanatori village, from Neamt County, near Targu Neamt on the valley of Nemtisor Creek. The monastery is also known as “The Jerusalem of the Romanian Orthodoxy”. Neamt Monastery has a incredible collection of religious objects, paintings, manuscripts and old typography pieces that have a great historic, religious, cultural and artistic value. Also, here there is the oldest religious library with over 18,000 books. Inside the main church from Neamt Monastery pilgrims come to pray at the Icon of St Mary which dates from the year 665 and its considered to be a miracle-making religious icon. 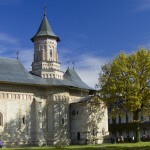 The History of Neamt Monastery (images and HD video) – Petru Musat was the one that built a stone church at Neamt Monastery to replace the old wooden one. In the year 1471 an earthquake damaged the church and for this reason Stefan cel Mare built a new church near the old one. The first religious service was held after the great victory from “Codrii Cosminului” Forest. In the year 1485 Neamt Monastery receives a gift from ruler Stefan cel Mare under the form of a bell. From all the old buildings that once were there, today we can only see the church of Stefan cel Mare and the lower part of the bell-tower built by ruler Alexandru cel Bun. The Lidian Icon – the priceless religious-icon from Neamt Monastery – One of the most important objects from Neamt Monastery that also has a special religious value can be seen in “Inaltarea Domnului” Church from the inner court of the monastery: this object is the religious-icon of St Mary Mother of Jesus, also known as The Lidian Icon. This religious-icon dates from 665 and was painted in Lidia, the home land of St Gheorghe. In 1429 the religious-icon was given as a gift to ruler Alexandru cel Bun by the Byzantine Emperor Ioan Paleologul the VIII. Agheazmatar Building from Neamt Monastery – Agheazmatar represents the place where priests make Holy Water. This building is located at Neamt Monastery outside the walls, in front of the bell tower. It’s worth talking about this building because of the interesting architectural shape and impressive proportions. This building was created between 1836 and 1847 and it’s called Agheazmatar. 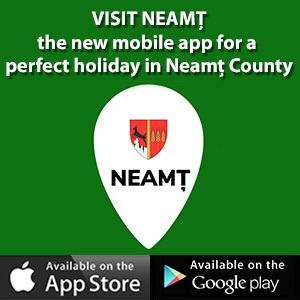 Neamt Monastery museum – the oldest monastery from Neamt County, hosts a very important religious collection both for the religious culture and art as well for the national culture. The museum displays cult objects made out of precious metal, embroideries, fabrics, wood sculptures all made by the monks from the monastery or that were received as gifts over time from different rules. All these objects contain important historical information about our past and our traditions. Carbuna Hermitage – Neamt County – In 2001 “Prea Fericitul Parinte Patriarh Daniel” established Carbuna Hermitage here where so many soldiers died to defend our country, with St Stefan cel Mare as its Holy patron. The hermitage is build in the middle of an oak plantation near the cemetery where heroes from the Second World War are buried. Braniste Hermitage – Neamt County – Braniste Hermitage is under the administration of Neamt Monastery and represents a secondary complex of buildings. The hermitage was built in 1582 from the order of ruler Petru Schipul. Vovidenia Hermitage – Neamt County – The church we can see today was built between 1849 and 1857. From an architectural stand of point the church was built in a clover shape plan with five towers from which 4 on the sides and one on the center. Vovidenia Hermitage was also known as “The Altar from the Peaceful Plane”. Pocrov Hermitage – Neamt County – located in a forest with old trees, at approximately 4 km south-west from the Neamt Monastery, Pocrov Hermitage was built in 1714 by Pahomie and his apprentices: Sofronie, Mardarie, Lazar, Dosoftei and Ioanichie. The Pocrov hermitage also called “The Haven’s Plane” represents a true place of peace where many monks lived a calm yet harsh life. “Icoana Veche” Hermitage – Neamt County – “Icoana Veche” Hermitage is located in a dense forest in the north of Neamt Monastery. Between 1821 and 1822, because of the Eteria, the monks hide the icon of St Mary there – this icon was a gift received 600 years ago. After 1822 the icon, together with some other objects, were moved back into the monastery and on the place where they stayed they built a wooden cross painted by Agapie, as a reminder of what happen there. “Icoana Noua” Hermitage it’s under the administration of Neamt Monastery, which is the oldest monastery from Neamt County and it’s located in the place called “Valea Icoanei” (The Icon’s Valley). The origins of this hermitage are from 1941 at the initiative of father Vasian Iosub (the abbot of the hermitage from 1946).